After countless hours of research and development and extensive materials testing, engineers fused optimal fabrics with the most scientifically advanced waterproof and breathable laminate to develop the Super Hydrophobic Evaporative Development System (SHEDS). It was then unified anatomical research and insulation components to create a cutting-edge Heat Absorbing Retention System (HARS). 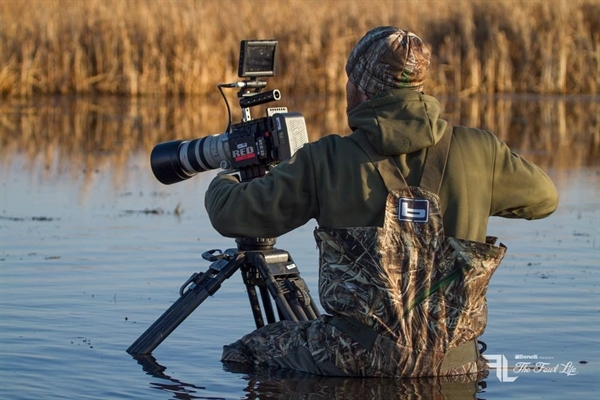 The next step was to incorporate the cutting-edge SHEDS and HARS technology into an ultimate wader featuring unprecedented functionality, wear-ability, durability and performance throughout all the extreme conditions the waterfowler commonly encounters. 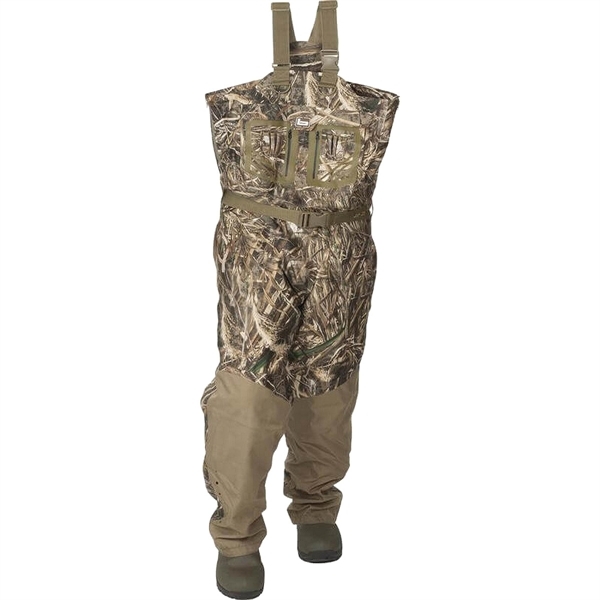 Banded taped the seams for 100% waterproofness, reinforced the knee and seat areas with 900D fabric for ultimate strength, integrated a 1600 gram Thinsulate Ultra insulated boot, articulated key areas for maximum range of motion, and incorporated the first ever bib-fit styling. 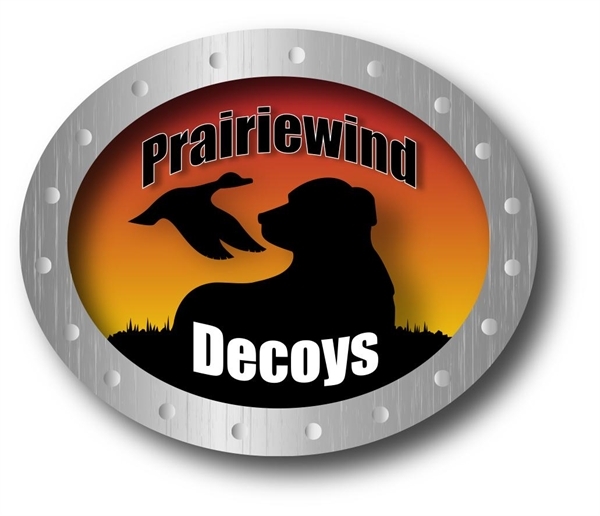 All of the modern features hunters have come to expect like; Fleece lined hand warmer, Upper chest shotgun shell sleeves, Water resistant chest pouch, Adjustable shoulder suspenders, Removable webbing waist belt PLUS great new additions like side zip chest adjustment, Integrated over the boot gaiter and High back panel for exposure protection. 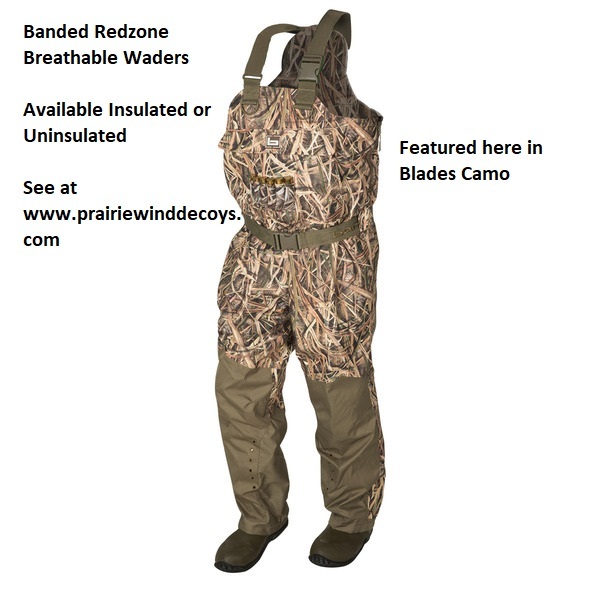 The end result is the most technologically advanced, sharpest-looking, breathable wader ever to hit the market. 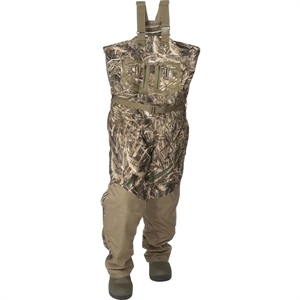 Whether you find yourself walking long distances to your spot or simply hopping into the blind, you'll find that the RedZone wader is extremely versatile for all seasons and conditions. Comfort Rating of minus 10 degrees to minus 50 degrees. SHEDS Waterproof Breathable Laminate - To ensure total protection from outdoor elements, optimal fabrics are fused with the most scientifically advanced waterproof and breathable laminate to develop the Super Hydrophobic Evaporative Development System (SHEDS). Deriving from scientific Lotus Effect Technology, SHEDS features an impermeable membrane that is guaranteed to keep you dry. While being waterproof, SHEDS is also extremely breathable and windproof to keep you comfortable in all conditions. HARS Insulation Anatomical research and insulation technology were combined to create a cutting-edge Heat Absorbing Retention System (HARS). 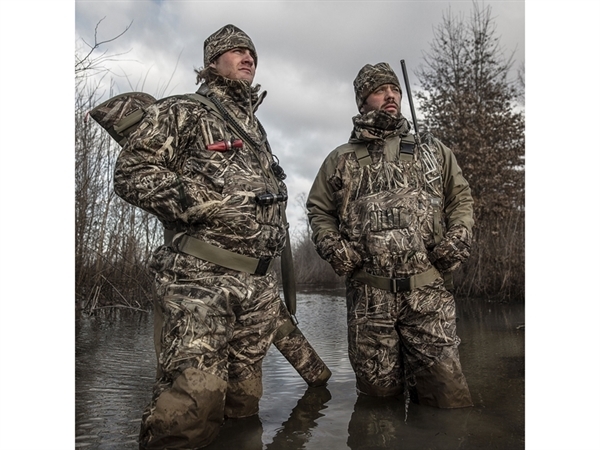 HARS Insulation- A revolutionary and superior material for providing warmth and comfort for outdoor enthusiasts. Consisting of scientifically designed microfiber insulation, HARS is soft, compressible and extremely lightweight. 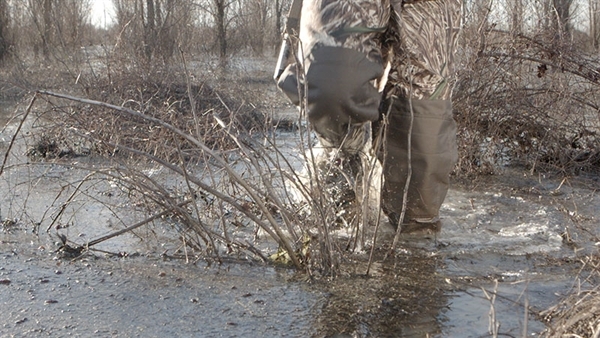 Furthermore, water resistance and breathability characteristics allow HARS to perform perfectly whether wet or dry. 3M Thinsulate Ultra Insulation - The Ultimate Insulation. Thinsulate Ultra insulation is designed to be used when thin insulation is especially important. It's loftier than original Thinsulate insulation for better warmth and comfort yet thin enough to allow complete freedom of movement. Specifically designed for footwear, outerwear, sportswear, and accessories. **WINTER SALE - WAS $330, NOW $244.99 PLUS FREE SHIPPING! 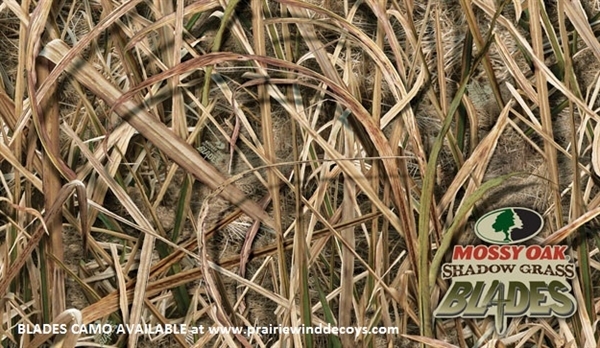 **WINTER SALE** - WAS $330, NOW $244.95 PLUS FREE SHIPPING!